Interested in a Jaguar SUV to drive around Pensacola? With the introduction of the new Jaguar E-PACE, the choice shouldn’t be too difficult. Coming in slightly below the Jaguar F-PACE in size, the all-new E-PACE still promises compelling power, enhanced handling with the innovative all-wheel drive system, and plenty of style and features. 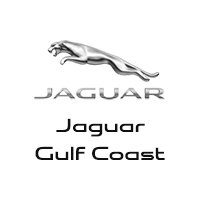 Browse your options, and then visit Jaguar Gulf Coast for a test drive! Borasco Gray Metallic 2019 Jaguar E-PACE R-Dynamic AWD 9-Speed Automatic 2.0L I4 Turbocharged 14-Way Heated Memory Front & Rear Seats, Black Exterior Package, Car Care Pack, Ebony Suedecloth Headlining, Fixed Panoramic Roof, Gloss Black Radiator Grille Insert, Gloss Black Side Power Vents, Gloss Black Side Window Surround, Illuminated Front Metal Treadplates, Keyless Entry, Powered Gesture Tailgate, Radio: Meridian 380W Sound System, SiriusXM Satellite Radio & HD Radio, Smartphone Package, Wheels: 20" 6 Split-Spoke Satin Grey Diamond. Recent Arrival! 21/27 City/Highway MPG Let the team at Joe Bullard introduce you to an entirely new kind of car-buying experience. You will love doing business with us no matter where you live! If you’re looking for your next Land Rover or Jaguar we have them! We stock over 200 pre-owned cars including all makes and models to fit your lifestyle! We have your next used car, truck or SUV and something for every taste and every need. If you want peace of mind our Certified sales staff and technicians are here to help! We offer a variety of financing opportunities! If you are asking yourself what is my trade worth, we can help you answer that too! Servicing the Mobile Alabama area and we ship to anywhere in the US! We stand up to what we say and its simple! The customer comes first! Visit us at any of our locations or 24/7 at www.joebullard.com. Borasco Gray Metallic 2019 Jaguar E-PACE S AWD 9-Speed Automatic 2.0L I4 Turbocharged OYSTER MORZINE HEADLINING, 18-Way Heated & Cooled Memory Front Seats, Adaptive Cruise Control w/Queue Assist, Adaptive Dynamics, Adaptive Speed Limiter, Air Quality Sensor, Auto High Beam Assist, Auto-dimming door mirrors, Basic Rear Seat Convenience Pack, Black Contrast Roof, Black Exterior Package, Blind Spot Assist, Cabin Air Ionisation, Car Care Pack, Configurable Ambient Interior Lighting, Drive Package, Fixed Panoramic Roof, Gloss Black Radiator Grille Insert, Gloss Black Side Power Vents, Gloss Black Side Window Surround, Heated door mirrors, High-Speed Emergency Braking, Interactive Driver Display, Keyless Entry, Powered Tailgate, Radio: Meridian 380W Sound System, Red Brake Calipers, SiriusXM Satellite Radio & HD Radio, Smartphone Package, Styling Accent Pack, Surround Camera System, Wheels: 21" 5 Split-Spoke Satin Grey Diamond. 21/28 City/Highway MPG Let the team at Joe Bullard introduce you to an entirely new kind of car-buying experience. You will love doing business with us no matter where you live! If you’re looking for your next Land Rover or Jaguar we have them! We stock over 200 pre-owned cars including all makes and models to fit your lifestyle! We have your next used car, truck or SUV and something for every taste and every need. If you want peace of mind our Certified sales staff and technicians are here to help! We offer a variety of financing opportunities! If you are asking yourself what is my trade worth, we can help you answer that too! Servicing the Mobile Alabama area and we ship to anywhere in the US! We stand up to what we say and its simple! The customer comes first! Visit us at any of our locations or 24/7 at www.joebullard.com. Yulong White Metallic 2019 Jaguar E-PACE R-Dynamic AWD 9-Speed Automatic 2.0L I4 Turbocharged 18-Way Heated & Cooled Memory Front Seats, Adaptive Cruise Control w/Queue Assist, Adaptive Speed Limiter, Basic Rear Seat Convenience Pack, Black Contrast Roof, Black Exterior Package, Blind Spot Assist, Car Care Pack, Drive Package, Ebony Suedecloth Headlining, Fixed Panoramic Roof, Full Length Gloss Black Roof Rails, Gloss Black Radiator Grille Insert, Gloss Black Side Power Vents, Gloss Black Side Window Surround, Head-Up Display, High-Speed Emergency Braking, Illuminated Front Metal Treadplates, Interactive Driver Display, Keyless Entry, Powered Gesture Tailgate, Radio: Meridian 380W Sound System, Red Brake Calipers, SiriusXM Satellite Radio & HD Radio, Smartphone Package, Wheels: 20" 6 Split-Spoke Satin Grey Diamond. 21/27 City/Highway MPG Let the team at Joe Bullard introduce you to an entirely new kind of car-buying experience. You will love doing business with us no matter where you live! If you’re looking for your next Land Rover or Jaguar we have them! We stock over 200 pre-owned cars including all makes and models to fit your lifestyle! We have your next used car, truck or SUV and something for every taste and every need. If you want peace of mind our Certified sales staff and technicians are here to help! We offer a variety of financing opportunities! If you are asking yourself what is my trade worth, we can help you answer that too! Servicing the Mobile Alabama area and we ship to anywhere in the US! We stand up to what we say and its simple! The customer comes first! Visit us at any of our locations or 24/7 at www.joebullard.com. If you have any questions about our current inventory please reach out to our staff in Mobile.